spiration to launch in October, 2015. 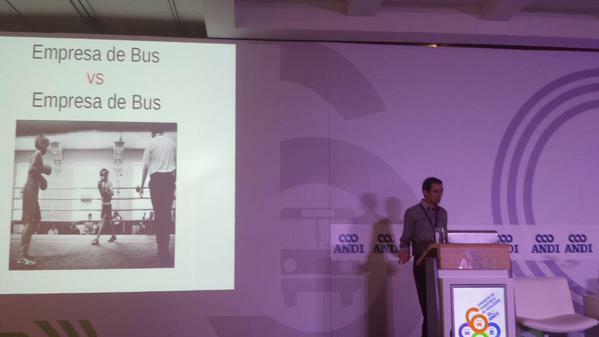 David Feldsott: “Thank you very much for having me! 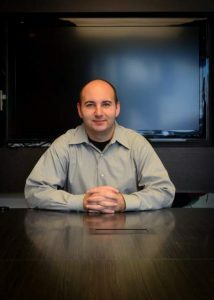 I am happy to give you an interview about opportunities in Colombia and insights about Medellin. Concerning PanTrek, I came up with the startup idea as I was planning a backpacking trip through Central and South America. Everyone told me to travel by bus since airlines are more expensive here because there are no low-cost carriers like Southwest, EasyJet, Tiger Airways, or RyanAir. Concerning personal reasons, the first one is that Medellin´s climate is simply incredible. 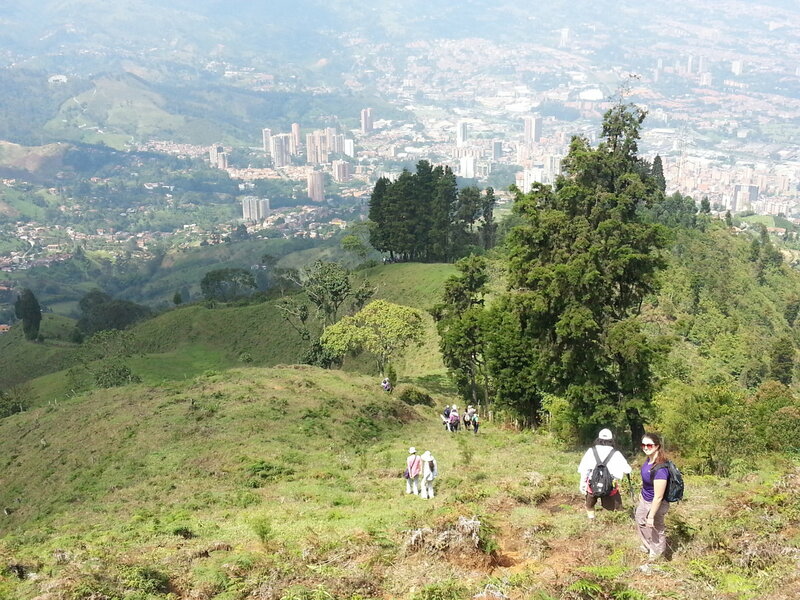 Medellín is known as the “city of eternal spring” and the weather here is incredible. The temperature is usually between 75-80 (24-27 Celsius) degrees everyday. The city is also surrounded by stunning mountains and quaint towns and there are an abundant amount of outdoor activities to pursue. The local government even sponsors free guided hikes in the surrounding area. FREE Colombia Real-Estate Guide! CLICK HERE! As a second personal point I regard as essential that Medellin is a city with good infrastructure. The city is large enough to keep most people entertained. The city of Medellín is filled with ~2.5 million people and almost 4 million in total when you include the metropolitan areas of Bello, Envigado, Itagui, and Sabaneta. The city has an extensive public transportation network including a well-run metro system, dedicated lanes for the MetroPlus bus system, the MetroCable, and a lot of ordinary “cooperative” buses too. The last personal reason was the variety of offerings in recreational activities. 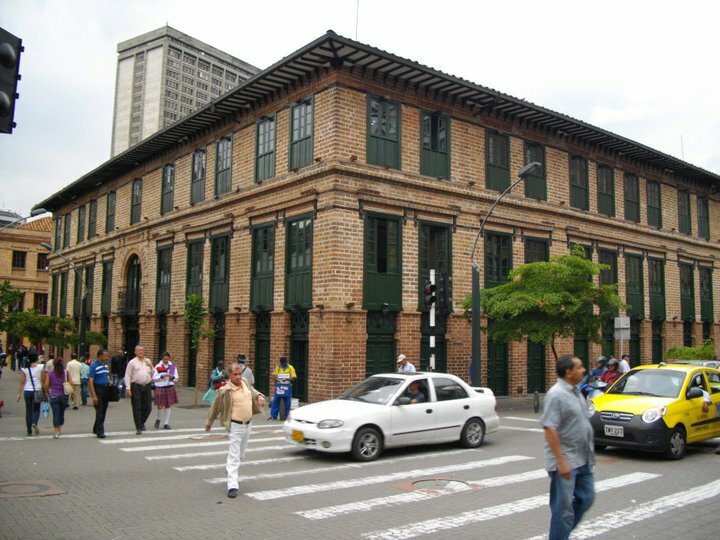 Medellín is often referred to as the “Cultural Center of Colombia”. There are almost 40 museums (e.g. 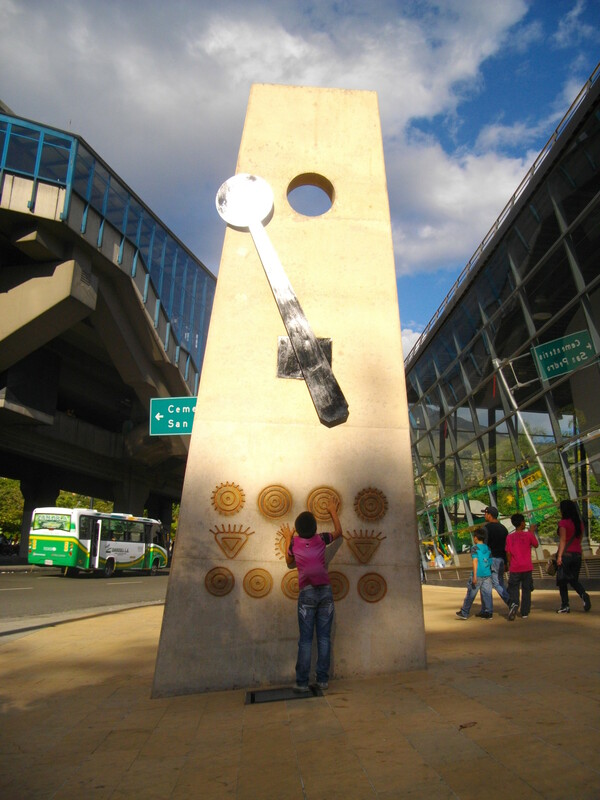 Museum of Modern Art and an interactive museum called Parque Explora”) in the city, along with multiple theatres and even a planetarium and the largest freshwater aquarium in South America. The nightlife in Medellín is legendary and there is also a gigantic and free sports complex in the Estadio neighborhood (where I live) for anyone to play almost every sport imaginable. As for professional reasons, Medellin´s entrepreneurial culture was definitely striking.People from Medellín are known as “Paisas” and the Paisa culture is very entrepreneurial. Historically, there was not much government support, so Paisas had to be resourceful and earn a living on their own. I have met many local people who fully embrace entrepreneurship and are very interested in taking on side-projects and lending a hand in new ventures. Much of PanTrek’s design work has been accomplished through two local designers helping us out in their spare time. In addition, Medellin has relatively low cost of living and hence lower salaries. Software engineers in the United States are extremely expensive, with many commanding salaries of $120,000+ a year. 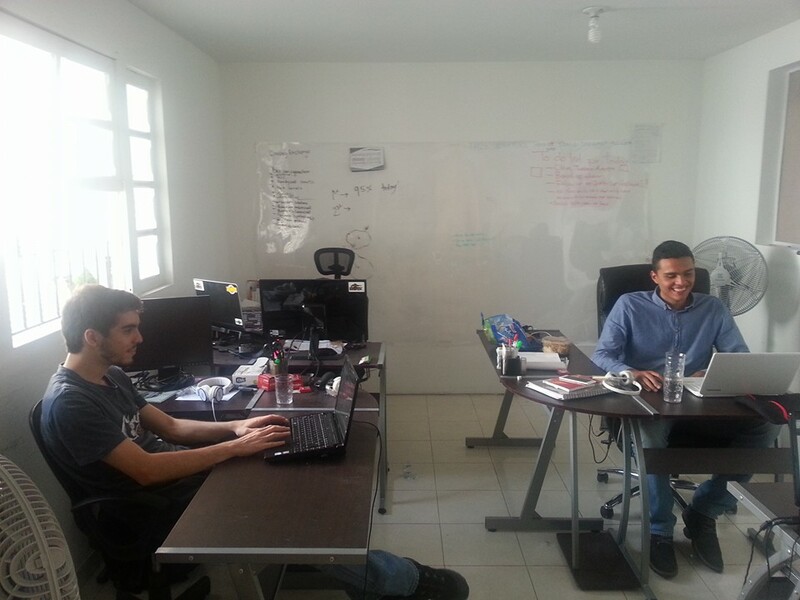 In Medellín, you can find top-quality developers for 1/3 of that cost. Rent in Medellín is very inexpensive, which is great for bootstrappers. I used to rent a room in a beautifully renovated, high-end apartment with gorgeous city views in the most expensive neighborhood and my rent was only ~$500 a month. Now, I rent a room in the Estadio neighborhood to save more money and I only pay ~$200 a month. 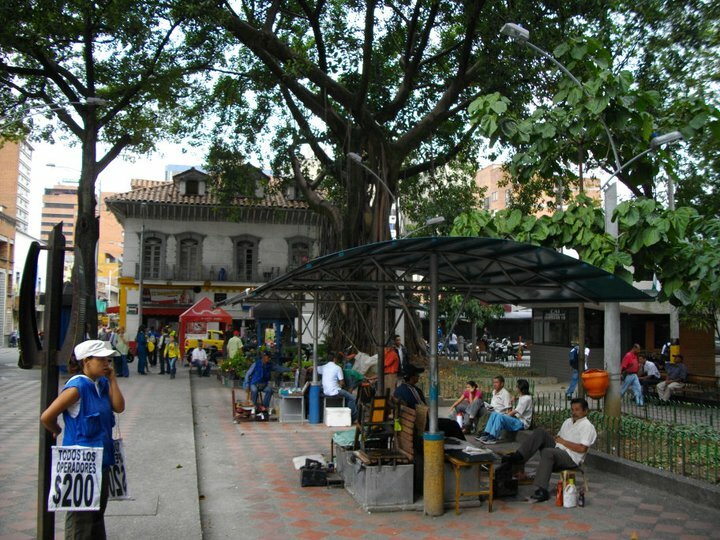 Expats can live very comfortably in Medellín. Also, due to Colombia’s heavy reliance on the oil & gas sector, the Colombian Peso has been one of the worst-performing currencies worldwide this year (over 45% depreciation since I arrived in Colombia only 7 months ago), which means the US Dollar now goes a lot further! As a further point I would like to mention the desire to succeed. No universities in Colombia offer “computer science” degrees, but rather a degree in “systems engineering.” Colombians learn high-level concepts and algorithms with little practical coding experience. While some people might look down upon this, I think it’s a beautiful thing because it means that most software developers are self-taught. They have the drive to learn new concepts and programming languages. The desire to strive for a better life is incredibly helpful to succeed in building a technology startup. The fourth professional reason was that people in Medellin have a growing interest in technology. The logistical shipping problems in Colombia, combined with high taxes on import like electronics, has stifled much of the potential for e-commerce in Colombia. Less than 2% of purchases in Colombia are made online, but the desire to do more with technology is readily apparent. Social media penetration is very high in Colombia, smartphones are ubiquitous, and even the Tigo, one of the nation’s wireless carriers, is offering free internet access to many websites, including Facebook. The interest in technology and the internet is much higher here in Colombia than it is in many other Latin American countries like Ecuador, Bolivia, and Paraguay. As the penultimate point, I would like to mention the stable and growing economy in Colombia generally. Argentina, Brazil, and Venezuela are likely all in recessions right now. Many other South American countries are struggling to find economic growth, but Colombia keeps growing. The Financial Times reported that Colombia’s GDP grew by 4.6% in 2014 and inflation is expected to be relatively stable around 3-4% according to Colombia’s Central Bank. Of further note, the violence and political instability that existed during the drug-fueled Pablo Escobar days has largely subsided. Personally, I feel just as safe here in Medellín as I did living in NYC. 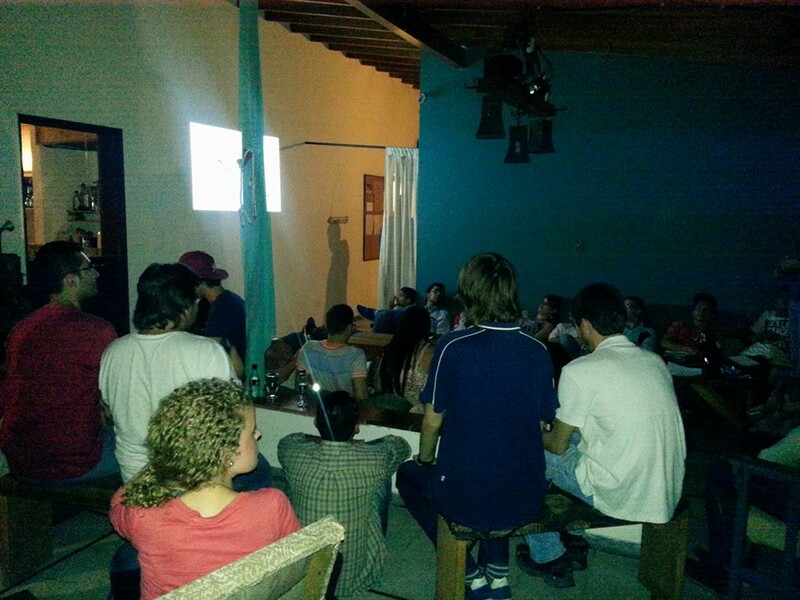 David Feldsott: “The technology scene in Medellín is vastly over-hyped on the Internet. While I did not expect to find a technology scene to rival that of my previous homes of Boston, New York, or San Francisco, I still expected to quickly find the go-to people and groups of tech entrepreneurs, since it is a smaller community. Boy was I wrong! Many of the previous articles written about the large technology scene in Medellín were from individuals who had a vested interest in attracting more foreigners to the city, in part to profit off of them. fill the need for early-stage financing, and 6 co-working spaces have opened (or are opening) their doors recently too. A Founder Institute program was created not too long along as well as Colombia’s first Ruby on Rails bootcamp named “Make It Real.” They even conducted their first hack-a-thon 3 months ago. My friend (Miah King) created the first factory in Medellin for robotics / hardware, in the neighborhood of Envigado. It is called Gora and affiliated with a co-working space called 20Mission. There are pockets of innovation in the tech community in Medellín, but it was very hard for me to find them, especially for a foreigner. That is why I am building 2 communities myself, a Python/Django meetup group to help find talented programmers for my startup as well as a “support” group of Medellín entrepreneurs who are focused on building scalable products. HalloCasa: “Ok, that is definitely different from what we heard, too. Concerning, launching a new company as a foreigner in Colombia, people might be curious about obstacles when launching a company. What do you see as the biggest challenges when it comes to starting a business contrary to the US.? David Feldsott: “Firstly, there are no advantages to creating a business in Colombia (from a legal or tax perspective) compared to the United States. That is why we are a US company with an office in Medellín, but we have not incorporated in Colombia. We are trying very hard not to incorporate a company here, as long as our business needs permit it. I have been told that most large tech companies in Bogota do not even have subsidiaries in Colombia either. Overall, the problems with setting up a business in Medellín have to do with government bureaucracy / inefficiency, government taxes / fees, slower transaction lifecycles & assistance, banking / payment processing shortfalls, reluctance to conduct business over email / internet, shipping & customs problems, and introductions are almost mandatory. The first problem is the government bureaucracy and inefficiency. Everyone here hates the idea of doing anything that involves interacting with government entities because the government over-complicates everything. For example, the government recently changed the process for obtaining a “business-owner visa”. The second issue I want to mention is taxes and fees. As a foreigner, incorporating a company in Colombia and obtaining the “business owner visa” is actually more expensive than incorporating a company in the United States. Most people need to hire a lawyer to handle the process, which costs around 4.2 million Colombian Pesos (~$1,700). Then every year (after the 1st year), you owe a minimum tax of 3 million Colombian Pesos in taxes, even if you do not have any income. You must also file monthly financials with the Colombian government that were completed by a registered accountant. The expenses really add up over time. The employee taxes here are also astronomical, which is why even Colombian companies prefer to classify their workers as “independent contractors” whenever possible. Employee taxes add 51.87% to the cost of an employee salary. If you have a software engineer with a monthly base salary of 4 million Colombian Pesos, the cost to the employer is actually ~6.1 million Colombian Pesos. Colombian corporations have the 6th highest tax rate in the world according to the World Bank! Furthermore, economic slowness complicates many processes. Overall, business moves slower here in Colombia than in the United States or Europe, and this is especially true in Medellín (compared to other cities like Bogota). If you are having problems with your Internet in the United States, you can probably get a technician to come within a 2-3 days to fix the issue. In Medellín, you are lucky if you get this accomplished in 2 weeks. Investors in Colombia are also very risk-averse, so raising a seed / angel round takes a lot longer in Colombia than in the United States. Signing and implementing a business partnership can be painfully slow too. While I don’t have concrete data here, I would estimate that creating B2B partnerships here in Medellín is 50% slower than in the United States. Lines at the bank are astronomically long, online payments are quite difficult, lending fees are substantial, there is even a 0.4% tax on withdrawals from corporate bank accounts, and bank transfers can require a lot of paperwork / bureaucracy and many times people’s assets are frozen for “no apparent reason.” If you wish to accept payments online from customers in Latin America, you better be ready for a lot of headaches as the banking system is fragmented from country to country and many banks / LATAM payment processors do not work with international credit cards. The largest payment processor (PayU) only works with banks in 7 out of the 18 major LATAM countries. While payment processing fees in the US can be as low as 2.9% on transactions, it can be over 5% in Colombia. In addition, the reluctance of companies to communicate via e-mail imposes a big challenge.While this area has been improving over time, many Colombians are still hesitant to conduct business via email or over the Internet. I’m not saying nobody does it, but it’s more of a rarity / exception when it happens. For example, I emailed a co-working space in Medellín to ask about their prices, hours, and when they would open their doors so I could work there. I never heard back from them; which is pretty common. In the US, that just does not happen since that is a great lead on a potential customer. Also, e-commerce only represents ~2.2% of sales in Colombia, so don’t expect your new product to fly off the shelves if you start selling it to Colombian customers. The penultimate point, I would like to list might be familiar to entrepreneurs which are active in the e-commerce business: delivery and customs problems. A major reason Internet sales are low overall is because of the lack of integrated shipping / logistics solutions in Colombia. If you purchase a pair of shoes over the Internet, it is very difficult to track your order throughout the purchase cycle. There are rarely tracking numbers, so you are not sure if your product has left the store / factory, when the courier receives the package, when the package is out for delivery, and when it has arrived on your doorstep. Also, the taxes for importing luxury products, such as electronics, are quite substantial and many people report significant delays in delivery or the outright seizure of their goods because of incorrect paperwork or failure to pay customs fees. Lastly, the fact that personal introductions are almost mandatory complicates to a great extent the market entry for unknown startups. Michael Puscar’s article identifies the root of this problem: there is a deep-seeded lack of trust amongst Colombians. In general, Colombians do not trust other Colombians that they do not personally know. So, in order to do business with Colombians, most of the time, you need to be introduced or you are unlikely to cultivate a relationship. HalloCasa: “Very interesting. Yes, it seems that there are far less challenges in Bogotá. For example, ordering furniture on e-commerce sites in Bogotá arrives within one working day, including tracking number. No obstacles there at all. Another example is to apply for your working visa. It takes a couple of hours and is definitely a faster process than in several Western countries and you can do most of it online. Getting a new internet connection takes some working days and bank accounts have very easy-to-use online banking options and no signs of “solo para extranjeros” ads. David Feldsott: “In the beginning, I worked out of a co-working space in Medellín. However, once I built out my team, we decided that we were not impressed with any of the co-working spaces and the cost for space for 3 people was more than we would have to pay for office rent. So, we decided to look into acquiring some office space. The problem with renting real estate in Colombia is the requirement of having a fiador (MedellinLiving has a good fiador explanation). So, it is easiest to negotiate directly with the landlord whenever possible to avoid the fiador requirement. I was able to find affordable office space directly with the property owner, above a café, in the beautifulSegundo Parque de Laureles area. We are paying 700,000 COP a month (~$250 USD) for an office that fits our team and includes all utilities (electricity, water, internet) and has a shared kitchen with other offices. I pay 1 month in advance directly to the landlord to secure against any damages. David Feldsott: “The fiador (which is a property owner) is basically someone who acts as a guarantor (insurance) of the property on behalf of a tenant. If no property owner will act as a fiador on your behalf, then you can hire an insurance company or sometimes pay the entire rental contract in advance, which sometimes happens when dealing directly with a property owner. If the tenant does not pay rent, the fiador is responsible for the payment. The Fiador requirement (which is also common in Brazil) is never a good thing (for the renter) and does not make the process easier. It has nothing to do with creditworthiness since the renter could have amazing credit or a lot of assets as collateral, but if they do not own property within Medellin proper (the suburbs of Medellin do not count, like Envigado or Sabaneta) then it does not count towards their benefit. The fiador just adds an extra layer of bureaucracy and cost to the process. David Feldsott: “Wow! That is a tough one. The simple answer would be for business to move at a faster pace, like in the United States. Our partnership deals have been creeping along and it is very irritating. But, my biggest complaint here in Colombia is that when there is a conflict, most Colombians ignore the problem instead of attempting to resolve it. This is a cultural thing that occurs in both business and in people’s personal lives, such as in dating. For example, I had a date scheduled with a Colombian woman. Rather than the woman telling me that she did not want to go out or that she just did not feel like it that day, she just ignored my repeated attempts to confirm our date. Two days later, she finally sent me a text message, saying “Que pena!” She did not apologize or give me a reason for why she ignored me for 2 days. So, rather than be direct and potentially “confrontational,” she ignored the situation and hoped it would resolve itself or go away. This type of behavior happens all the time, including with the Director of Partnerships at one of the largest bus companies in Colombia. It is incredibly frustrating! David Feldsott: “Overall, I love it here. 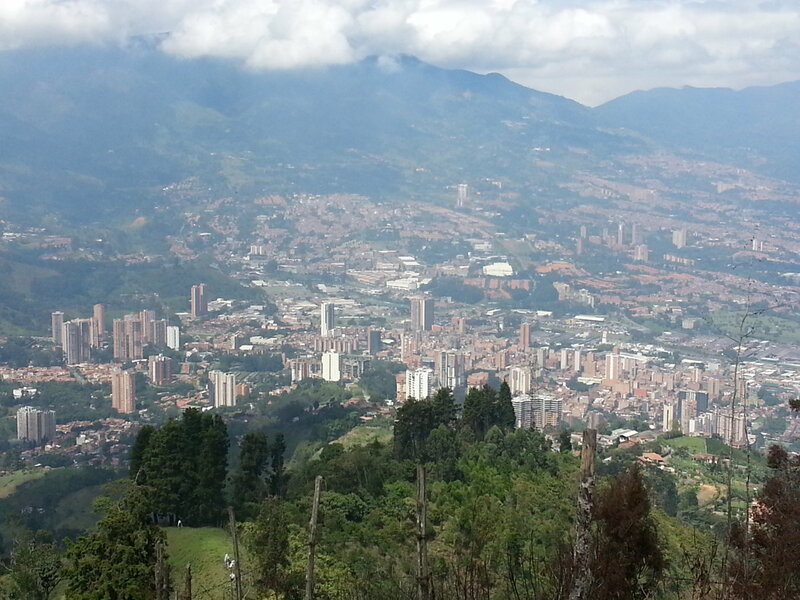 Medellin is a beautiful city. The people are friendly and I feel safe living here. The climate is great as is the transportation. There are plenty of fun things to do / see and the quality of life is excellent! I am building my company’s headquarters here and I hope to live and work here long-term.